Bins are collected on an alternate weekly basis. 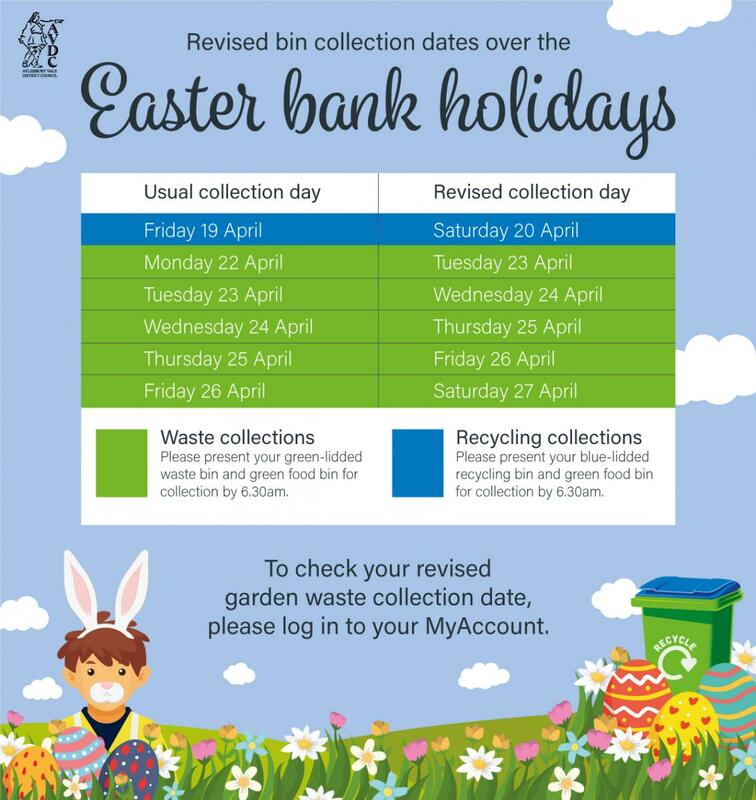 One week we will collect your green lidded rubbish bin, and the following week your recycling and garden waste will be collected. Food waste is collected on a weekly basis. Unsure what goes in your food, waste, recycling or garden waste bin? Try the waste wizard below. To keep your food caddy clean you can line it with a carrier or bio-degradable food bag and by giving it a regular wash with hot soapy water, wiping it dry with kitchen towel. Please make sure you wash your hands after washing food waste bins.